All About Gut Bacteria, Symbiosis and Human Health! Really Boring but Legally Necessary Disclaimers! As America watches another tragedy unfold, I am saddened by the loss of life as well all are. What I also see is the apparent sluggishness of a healthcare system to rapidly identify/acknowledge/treat brain trauma, PTSD, and the damage that the two cause to symbiont health-and in turn, how damage to the microbiome affects behavior. This post is about understanding those connections and hopefully implementing them into healthcare protocols for PTSD. It would also be helpful if recognizing PTSD and arriving at a diagnosis were done in a more timely and useful fashion; apparently from today’s information this man served in Iraq in 2011 and was still being evaluated for PTSD this year. There is a well-defined connection between brain health and gut health, such that damage to one results in damage to the other. The gut and brain are functionally linked in what is known as the Gut-Brain axis. The communication between the two occurs through the Vagus nerve as well as indirectly through blood circulation that permits neuropeptides from the gut to arrive at the brain where they act like neurotransmitters. The gut is home to trillions of bacteria known as the microbiome. This vast colony of symbiont bacteria act as an accessory organ and have tremendous influence on neurologic, immune and endocrine functions. When a person is put under extreme stress situations and/or has a brain trauma, (often accompanied by shifts in diet that tend toward pro-inflammatory/allergenic food) there is an immediate response in the gut. This response is not a good one; the autonomic nervous system’s change to fight-or-flight mode (sympathetic mode) causes a loss of activity and reduced circulation in the digestive tract. In the gut, this results in increased intestinal wall permeability combined with death of symbiotic bacteria as their environment becomes dramatically inhospitable. This combination of events can form “a perfect storm” that results in translocation of both food particles and fragments of dead bacteria known as Lipopolysaccharides or LPS. As these are absorbed into the bloodstream, circulating immune system components will respond with an inflammatory cascade that becomes system-wide. This is exacerbated by the partial demise of the symbiont bacteria that, when fully functional, provide immune system modulation and instruction. 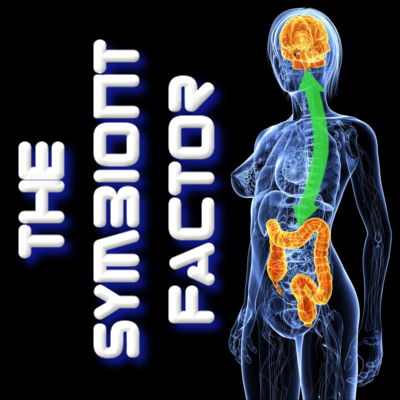 Without symbiont help, the immune response to the LPS and food molecules creates massive inflammatory change, sensitization to food that results in food sensitivities (and even more inflammation) and behavioral changes. When the wave of inflammation begins to affect the brain, the result is depression and anxiety. These are precisely what the Fort Hood shooter was being evaluated and treated for according to today’s news. Inflammation is so linked to depression and anxiety that some researchers have stated that it could be seen as simply a symptom of inflammation. With the brain’s changes producing a perceptual change, normal environmental and interpersonal activities and interactions can create extreme stress, anxiety and depression. The brain’s shift to a stress mode dominated by stress and anxiety can further drive the autonomic shift to sympathetic dominance, resulting in a positive feedback loop in the gut-brain axis and driving the worsening of these changes. These changes can be severe enough to make behavior unpredictable (as has been demonstrated at Fort Hood, unfortunately). Behavioral changes would perhaps not seem as unpredictable if the overall mechanism described were better understood and this knowledge implemented by those in charge of the care of soldiers experiencing brain trauma or PTSD. There is sufficient research documenting the causal pathway from brain trauma or PTSD to gut/microbiome dysbiosis and subsequent behavioral instability that this information urgently needs to be better utilized in soldier and patient care. Interventions for successfully interrupting this type of progressive dysfunction are widely available and easily implemented. This entry was posted in Uncategorized and tagged 45, assault weapon, base, brain, disorder, Fort, ft, gut, Hood, inflammation, ivan, lopec, microbiome, microbiota, military, post, ptsd, shooter, smith, soldier, spc, spc ivan lopez, stress, symbiont, symbiosis, symbiotic, tragedy, traumatic, wesson on April 3, 2014 by Dr. Richard Matthews. FMT improved gut bacteria of kids with Autism…and improved gut symptoms…and reduced Autism symptoms too! My New Favorite protein snack bars!